Last Thursday, the Global Bitcoin Stock Exchange, the first and by far the largest securities exchange in the Bitcoin economy, unexpectedly shut down. The principal cause of the shutdown appears to be legal problems. As Nefario wrote in IRC chat, “my problem actually is: 1) AML, 2) tax, 3) regulations, in that order.” The shutdown has already had an impact on the Bitcoin price, dropping it from about $12.9 to a low of $10.65 before a partial recovery, and will have a significant impact on the Bitcoin economy over the next few weeks as the businesses listed on the exchange adjust to the loss of their main platform for attracting and interacting with investors. The GLBSE was first launched by its founder James McCarthy, more commonly known by his forum handle Nefario, in May 2011. The site had a rocky start; the first IPO that was made through the exchange was Ubitex, a service which intended to help Bitcoin buyers and sellers avoid the banking system and trade bitcoins directly, meeting face to face and using cash. The IPO gathered over 1100 BTC (worth an average of about $10000 at the time, although the price was very volatile), but the service never had any success, and in August, its founder disappeared entirely. This IPO was likely not a deliberate scam. Its founder, Nathaniel Theis, was a minor, and the most likely explanation was that he simply got discouraged by the business’s initial failure and decided to cut himself off from his commitments. The GLBSE did attract some legitimate business. Mining companies, businesses which use investors’ funds to buy Bitcoin mining equipment and pay out the bulk of the mining rewards that they generate as a dividend, were popular right from the GLBSE’s launch, and turned out to be largely legitimate throughout the exchange’s entire history. For personal reasons, I have decided to get out of the bitcoin business. I have put up orders to buy back the outstanding shares of the LIF assets. Unfortunately, my trading strategy seems to have been flawed, we lost a bunch of money. I have been selling off the GLBSE assets held by the fund, but it appears many of the buy offers were not real, and I was only able to recover a small amount for the assets held. Many of the GLBSE assets turned out to be scams. The mistake made was that we (at GLBSE) thought the issue was to provide an anonymous asset(stock) market/exchange, so thats what our time effort and money went into. What we should have been doing was building a market for people to raise capital for their business or idea in bitcoin, and make it as easy as possible for people to do that while trying to keep investors safe. Along the same veins, the GLBSE introduced a voluntary identity verification system, by which sellers could submit one or more pieces of identifying information, including address, phone number, email, Facebook account and a photograph of a widely recognized type of ID, to link them to a real-world identity. Users would see this information and be able to make judgments regarding their investments with this information in mind. Many legitimate businesses did submit such information, and trust in them improved, but many others continued operating anonymously. The summer of 2011 saw a new type of security appear on the GLBSE: the Pirate Pass Through (PPT). Pirate was the name typically used to refer to a forum poster who went by the names Trendon Shavers and his forum handle pirateat40. He managed Bitcoin Savings and Trust (BST), an investment scheme that offered interest rates of up to 7% per week. The scheme expanded quickly, and evidence suggests that, as it was approaching its peak, its deposits were growing at over 100,000 BTC per month. Many were concerned that BST was actually a Ponzi scheme, a fraudulent investment opportunity that has no underlying business to generate profits, but instead creates the illusion of one by paying out profits to earlier investors from the pockets of later investors. However, many more found the interest rates attractive enough to be worth the risk, and there was high demand for ways to make it easier to invest in the scheme. The Pirate Pass Through was the result of this demand; a security listed on the GLBSE investing in shares of BST and paying back the returns, minus an operator’s fee, as a dividend. Some PPTs were honest about what they were doing, but many other investment funds were Pirate pass throughs by stealth. Offering investment funds of their own with returns from 2-4% and vague descriptions about investing in “arbitrage” and “the Bitcoin economy”, the operators of these schemes were actually investing either some or all of their investors’ funds with Pirate, either naively hoping that Pirate would not default or confident in their ability to quietly disappear in the resulting chaos if he did. By August 2012, official and unofficial PPTs were by far the largest sector on the exchange. Like all Ponzi schemes, however, sooner or later Pirate was doomed to fail. And, on August 17, it did. Three days before the final collapse, the scheme attempted to increase its lifetime by reducing interest rates from 7% to 5%, but the attempt backfired as investors attempted to withdraw their deposits en masse. Pirate shut downBitcoin Savings and Trust with a message on the Bitcointalk forums on August 17, and promised at first that deposits would all be returned. However, on August 28, even this promise fell away as Pirate announced that he was in default; since then, Pirate has ceased communication entirely, and efforts are still underway to find Pirate’s physical identity and location so that he can be prosecuted. Since then, Nefario has hired a lawyer to help make the GLBSE a legitimate business, and as soon as the lawyer began offering advice Nefario almost immediately started to play a different tune. The GLBSE quickly shut down, and communication with the Bitcoin community has been limited since then. Internal shareholder relations have fallen apart; Theymos, a pseudonymous shareholder and treasurer at Bitcoin Global, believes that Nefario has been approached by legal authorities and the current events are really Nefario desperately doing everything he can to avoid prosecution. Nefario’s behavior is particularly problematic because, officially, he does not even fully control the exchange; the GLBSE’s parent company, Bitcoin Global, is itself a multi-shareholder enterprise, and a number of shareholders have expressed their disapproval of his actions. However, Nefario has stated on advice of his solicitor that he will ignore any attempts to remove him, and even that turned out not to be necessary; Theymos attemptedto pass a motion to remove Nefario from his position as CEO, but he was unable to gather the required 51% support. According to Nefario, keeping control of the company is his only choice; Nefario writes, “keep in mind that GLBSE is linked to me and my identity, I’ve used my credit cards to pay for the domains, servers and other items. If I passed control of it to anyone else(especially an anonymous person), and it continued to operate, knowingly breaking laws and attracting attention then I would be found liable.” And, judging by Theymos’s inability to get 51% support, the majority of the GLBSE shareholders agree. For those who are hoping that the GLBSE will recover, the odds are unlikely. Nefario himself has stated that the GLBSE is never coming back, and although he has hinted at the possibility of the GLBSE’s parent company, Bitcoin Global, creating a regulated and legal exchange to replace it, it is doubtful that enough Bitcoin businesses would be willing to go along with the issuer requirements that such a status would entail for the effort be worth it. Currently, many more are concerned with a far more pressing question: what will happen to the GLBSE deposits? Theymos has added fuel to these worries, claiming that users will be required to submit identification documents to get their money back. Nefario, while not explicitly denying this, has simply stated that “all deposits will be returned to GLBSE users.” Regardless of what happens, fortunately this time the issue is not as crucial as it was in the Bitcoinica crisis; the amount at stake has been claimed by Bitcoin Global shareholder Theymos to only be about 8000 BTC, as the rest of the value that GLBSE users have stored in the exchange exists in the form of shares. A share is nothing more than a formalization of a relationship between investor and issuer, so the GLBSE, being nothing more than the database holder, has no way to make off with this part of users’ funds. 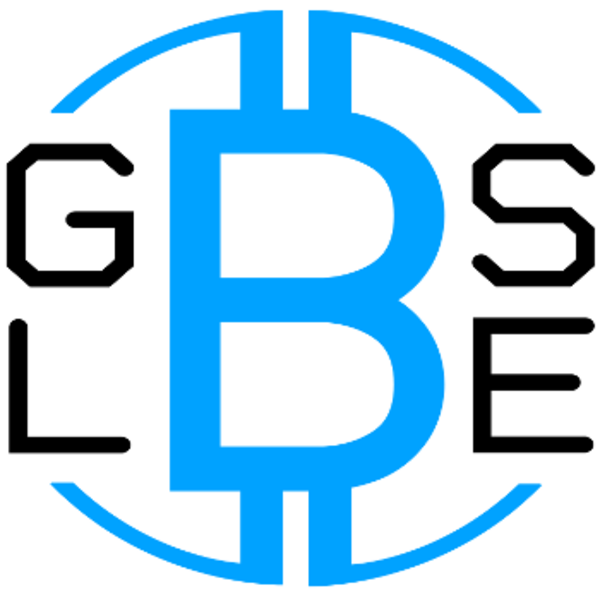 Furthermore, the GLBSE’s website now claims that the company is “currently working on a simple, safe, and easy to use method that will allow you to continue your relationship with your asset holders”; given that there is no evidence that the GLBSE’s databases have been confiscated or destroyed there is no reason to believe that this will take an excessively long time. 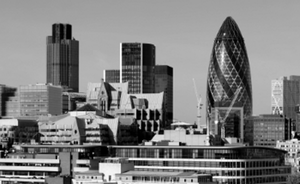 Once the GLBSE’s issuers receive the data needed to continue their relationships with their asset holders, however, they will still need a platform on which to manage it.